Moose and other wildlife love the series of beaver ponds that this short trail parallels. 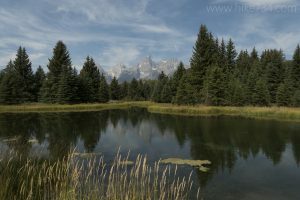 This picturesque setting features ponds surrounded by lush, green vegetation and the gray, jagged Tetons towering in the distance. The trail goes to the edge of a small channel of the Snake River, then to the first pond, and on to the second, longer pond. A wide variety of birds from warblers to waterfowl to waders can be found here. Also, keep an eye out for moose who frequent the ponds, but remember to keep a safe distance from these majestic animals. 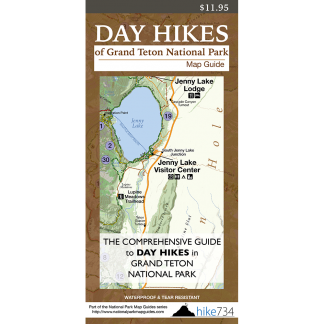 Trailhead: Take the signed road on west side of Hwy 191, approximately 4mi/6.4km north of Moose Junction. The trail starts at parking lot at the end of the road.